There are worse places to escape a broken engagement than Castle Calder. I haven’t even been inside yet, but when my bestie, Scarlett St Julien, pulls into the driveway of her family’s castle-turned-hotel, I decide immediately. Castle Calder: one. Ex-fiancé: zero. My mother and her Oh, but Bea, he’s such a nice young man: negative five hundred and eighty. “Wow. I know you said castle, but I didn’t expect, like, turrets and everything.” I gape at the building in front of me. It’s an honest-to-God fairy-tale castle. Big. Imposing. Regal. I kind of do want to know, but Scarlett eases the car into park and opens the door in one smooth motion, hopping from her seat onto the gravel drive. I follow, leaving my door ajar as I continue to gawk at the red brick building in front of me. It looks bigger when I’m standing up. The front door alone must be eight feet tall and the windows, with their stained glass panes in the middle, are wide and sparkling in the sun. “This is amazing.” Understatement of the year. Even the cool breeze smells sweet. Judging by the thin sheen of yellow on the hood of the Audi, it’s only pollen, but I have to resist calling it the perfumed air like someone out of a Regency romance. Seriously, if I could bottle this scent, I would. “Yep.” I smile, but my pulse dances a samba in my chest. I’ve met Scarlett’s parents before, but spending Parents’ Weekend with them four years ago is very different from spending the summer – especially since Scarlett convinced them to take me on as occasional help, which keeps me off the books. Truly, if I’m beholden to anyone, it’s them. Where I’m going to be staying? Even though Scarlett said the family apartment is small and I’d be bunking elsewhere, I still half-thought I’d be in the room next to Scarlett’s, connected by a too-small bathroom with a super messy counter. Just like our Atlanta apartment. Now, looking at the castle, I realize how dumb that is. This is going to be nothing like Atlanta. At all. Scarlett pushes the front door and I follow her through, stopping immediately inside. The walls are a deep dark wood, polished and gleaming. A huge fireplace takes up most of one wall with couches placed in a semi-circle in front of it. To my right is a large antique desk with a bell sitting next to a huge vase of fresh flowers. A tapestry of a guy on a horse covers most of the wall behind the desk. He’s holding a sword, a cape flying out behind him as he races towards a mountain. “Jerk.” I laugh and reach out to hit her on the arm. When we stopped for gas – petrol – I ended up having a five-minute conversation with a woman in the Starbucks line after picking up the piece of paper she dropped from her bag. Once she heard my accent, we went through the gamut of questions I’ve heard Scarlett answer more times than I can count. Where’re you from? How long are you staying? What brought you here? I’ve always wanted to go to New York, have you been there? Atlanta. The summer. Vacation. And yes, but when I was five, so I don’t remember much. I haven’t watched Scarlett navigate that minefield for years without learning a few things in the process. It’s good to know her tactic works on both sides of the Atlantic – be slightly aloof and engage as little as possible. Starting now. A blonde girl dressed in shorts and a hoodie comes around the corner, followed closely by Mrs. Call-Me-Hannah St Julien. Both stop short before the girl throws her arms around Scarlett’s neck. “No. Scarlett wouldn’t let me.” I smile and Mrs. St Julien laughs. She gives me a quick hug, too, her arms barely circling my shoulders before she lets go. Scarlett warned me I’m going to have to get used to St Julien family hugs and calling her parents by their first names. I assured her I’m up for the challenge, but I’m glad Mrs. St Julien isn’t pushing it. “Me too,” I say. Instead of letting me sleep, Scarlett gave me the rundown of the summer staff at Castle Calder. 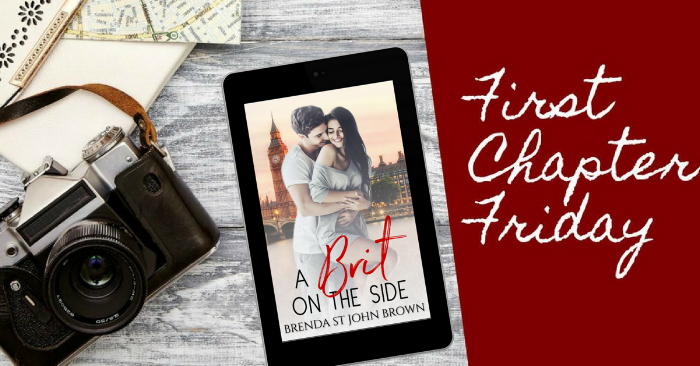 Claire studies marketing at the University of Bath – pronounced Baaath – and has a crush on Will, a barman at the local pub, which, according to Scarlett, is sad and one sided. But Claire is also funny and handy with a wrench, so Will might come to his senses one of these days. She walks and I follow, with Mrs. St Julien and Claire behind. We wind through hallways covered with more tapestries on the walls – but none of them are as impressive as William the Wannabe. Scarlett points out the library – full of books and a dark brown leather sofa -- and a game room – another dark brown leather sofa and a few wingback chairs -- in addition to a hallway she says I’ll need to remember to access the guest rooms. I’m sincerely hoping I won’t need to remember today, because wow, am I tired. Now that we’re here and the excitement of the flight and being in England has abated a little, I feel every one of the thirty-six hours since I last slept. Of course, if I hadn’t left packing until the night before, I might not feel like death warmed over. The best way to finish an unpleasant task is to get started, you know. Ugh. Four thousand miles away and my mother’s pithy sayings still follow me, if only in my head. Scarlett pushes a door open to her left and my thoughts of home, Mom, and Atlanta stop as I follow her into the biggest kitchen I’ve ever seen. It’s at least five times the size of mine and Scarlett’s entire apartment. A silver countertop gleams along one side, but it’s the wall of stoves that’s most impressive. There are three huge ovens side by side and fifteen burners. Maybe more. A couple of them have pots simmering on top and there are more copper-bottomed pots stacked on the shelves than the whole kitchen department at Target. Scarlett opens a cabinet and pulls out a stack of tea cups while Claire fills a kettle and places it on one of the stoves. It’s so seamless – the way they do it without even speaking – it’s clear they’ve done it a thousand times before. “You are, too! Remember the time you thought you were going to make spaghetti sauce from scratch?” Scarlett says. Scarlett squeals and runs across the floor. My gaze follows her and lands on her target, and every thought of Mr. Fisher leaves my head as Scarlett throws her arms around the young, tall, dark-haired guy in the doorway. His sweater has a hole by the neck, his glasses are a bit askew on his face, and his chinos hang a little too loosely on his waist, but there’s no denying it -- Jasper St Julien still looks damn good. His eyes find mine over Scarlett’s shoulder. They’re as cool, blue, and intense as I remember and even though the whole kitchen floor stands between us, my body flushes with heat like he’s standing right next to me. My stomach somersaults with the same anticipation. If Theo made me feel half of what I’m feeling right here in this suddenly too small kitchen, I’d be engaged. Happily. Willingly. But he didn’t and I’m not. For the first time since the whole Theo debacle happened, I’m glad. Want to read more of bea and jasper's story?